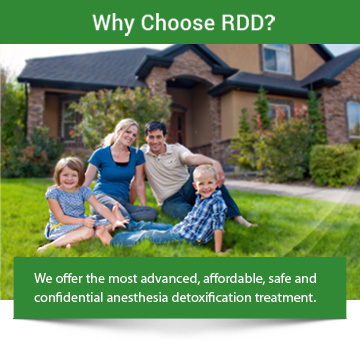 Rapid Drug Detox can help detox you from Thebaine, also known as Paramorphine. Thebaine is an opiate alkaloid derived from opium and is not used therapeutically. Instead, Thebaine is converted into several medications including: oxycodone, oxymorphone, nalbuphine, naloxone, naltrexone, buprenorphine and etorphine. Thebaine is similar to morphine and codeine but has stimulatory effects rather than depressant effects. It is a Schedule II Controlled Substance. Call us at 1-888-825-1020 or contact us to learn more about how we can help you overcome addiction. We never use other replacement addicting opiates, often prescribed by physicians and detox centers, such as Suboxone®/Subutex (Buprenorphine) or injectable Buprenorphine. These Schedule III controlled opiate drugs are routinely and widely used and approved by the FDA for opiate addiction maintenance, like Methadone. Many patients find themselves in the same situation as they were before drug treatment from a doctor or a drug rehabilitation center. Some in-patient rehab centers also use Schedule II controlled liquid Hydrocodone and Dilaudid “cocktails”. Patients soon realize these replacement drugs cause severe withdrawal once they are discharged from these programs. This causes the patient to seek opiates for relief from the severe discomfort of a Buprenorphine withdrawal. The use of these drugs for treatment of opiate addiction is merely switching one opiate drug for another setting the patient up for failure. This does not solve the patient’s drug addiction problem. As use of these drugs become more common, we are seeing a steady increase of requests for an anesthesia detox from patients addicted to Suboxone®/Subutex (Buprenorphine). With RDD’s Naltrexone Therapy used as a pellet/implant, injectable “IM” shot or the oral pill form, the patient stays clean and cravings are eliminated.